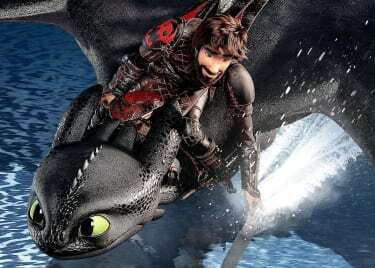 Kelly Clarkson voices Moxy for the May 3 release. She’s just one of the voices you’re sure to recognize in the animated musical. 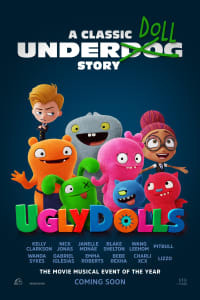 Kelly Clarkson, who voices Moxy, the main character of UGLYDOLLS, has come a long way since winning the first season of “American Idol” all the way back in 2002. She’s had four songs hit No. 1 on the Billboard Top 40 — “Since U Been Gone,” “Because of You,” “Miss Independent” and “Stronger (What Doesn’t Kill You)” — and has won three Grammy Awards. She’s also acted before, having lent her voice to 2017’s animated Christmas movie THE STAR. Country superstar Blake Shelton, who voices the one-eyed UglyDoll Ox, also has singing competition experience. Unlike Clarkson, he’s on the judges’ side of the table, having been a coach on NBC’s “The Voice” since its first season in 2011. (Shelton and fellow “The Voice” coach Gwen Stefani are a couple.) He’s had a whopping 13 No. 1 hits on the Billboard Hot Country Songs list, spanning from 2001 (“Austin”) to 2013 (“Sure Be Cool If You Did”). He voiced one of the pigs in THE ANGRY BIRDS MOVIE and played legendary outlaw Wyatt Earp in the Adam Sandler-starring comedy Western THE RIDICULOUS SIX. It’s been 12 years since the Prince- and James Brown-inspired artist Janelle Monáe released her first EP, the sci-fi-inspired “Metropolis: Suite I (The Chase).” Her first full album, 2010’s “The ArchAndroid,” was critically well-received, and she was a featured guest vocalist on Fun’s massively successful 2011 single “We Are Young.” Over the last few years, Monáe has become something of a household name. She co-starred in the Oscar®-winning MOONLIGHT and the Oscar-nominated HIDDEN FIGURES in the same year and is set to voice a role in Disney’s upcoming LADY AND THE TRAMP remake. On the music side of things, her most recent album, “Dirty Computer,” was nominated for two awards at this year’s Grammys, where you may have seen Monáe perform a mash-up of three of her songs. Not everyone in the movie is a singer. Playing the lemon-yellow Wedgehead is Emma Roberts, a former child actor (and niece of Julia Roberts) who has graduated to adult roles within the last few years. She’s found a niche in horror, having co-starred in SCREAM 4, TV’s “Scream Queens” and several series of “American Horror Story.” Still, UGLYDOLLS is less horror than comedy, a skill she showcased (albeit in an R-rated fashion) in 2013’s road trip comedy WE’RE THE MILLERS, co-starring Jennifer Aniston. One-third of the early 2000s heartthrob group the Jonas Brothers Nick Jonas — who voices the uber-perfect, snobbish Lou in UGLYDOLLS — has had something of a career resurgence over the last several years. He had a small but funny role in 2017’s megahit JUMANJI: WELCOME TO THE JUNGLE and recently reunited with brothers Kevin and Joe to release the song “Sucker,” the group’s first single since their split in 2013. Appearing in the music video for “Sucker” is Nick Jonas’ wife, Indian megastar Priyanka Chopra, whom he married in December 2018. Miami-born rapper Pitbull — aka Mr. Worldwide — has been turning out high-energy hits since 2002, working alongside artists like Lil Jon, Jennifer Lopez, Janet Jackson and Pharrell Williams. He’s had two songs hit No. 1 on the Billboard Top 100: “Give Me Everything” and the party anthem “Timber.” (If you caught 2018’s AQUAMAN at an AMC theatre, you heard his cover of the perpetually popular Toto song “Africa.”) He’s racked up dozens of music videos over the years, but his role as Ugly Dog in UGLYDOLLS represents only his second major film role; he also voiced a character in the 2013 animated fantasy EPIC. 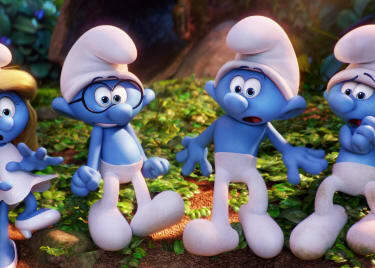 Every animated kid’s movie needs some comedians. 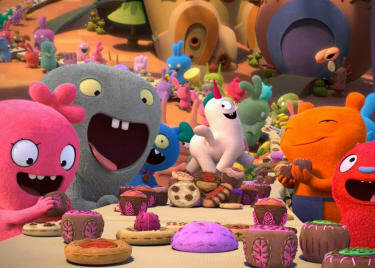 UGLYDOLLS boasts Gabriel Iglesias and Wanda Sykes, who are both stand-up comedians who transitioned to success in movies. They play the misfit UglyDolls Babo and Wage, respectively. This trio of singers plays the Spy Girls — aka Tuesday, Kitty and Lydia — three “perfect” dolls all kitted out to take care of business. Brooklyn-born Bebe Rexha had success as a songwriter with hits like Selena Gomez’s “Like a Champion” and Eminem and Rihanna’s chart-topping “The Monster” before releasing her own music. After last summer’s album “Expectations,” she was nominated twice at the 2019 Grammys, in the Best New Artist and Best Country Duo Categories. Hailing from across the pond in England, Charli XCX — born Charlotte Aitchison — has worked with artists like Icona Pop (she contributed vocals to their song “I Love It,” which became an international hit), Iggy Azalea and Troye Sivan. The final member of the UGLYDOLLS Spy Girls trio, R&B singer Lizzo, enjoyed a recent hit with “Juice,” released earlier this year along with a bouncy, ‘80s-inspired music video. UGLYDOLLS will belt out fun, inspiring songs beginning on May 3.